This is a product intended for pre-k to kindergarten. 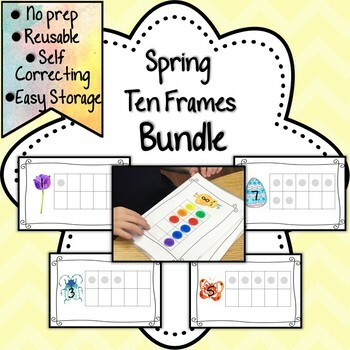 It is a series of spring themed ten's frames that are a half a page each. 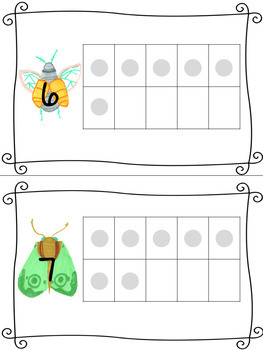 Themes included are; Easter, butterflies, bugs and flowers. 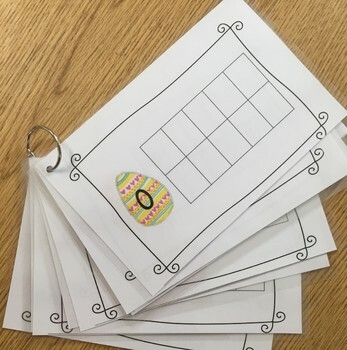 I used this resource by laminating, cutting each page in half, hole punching and then attaching them to a "o" ring. 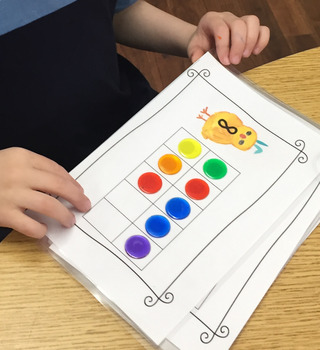 This was a huge hit in my class, the students were able to independently work and self correct. (There are ghost dots on each frame that correspond with the number) Check out the photos on my Instagram, @stressedbutblessedteacher for more ideas!